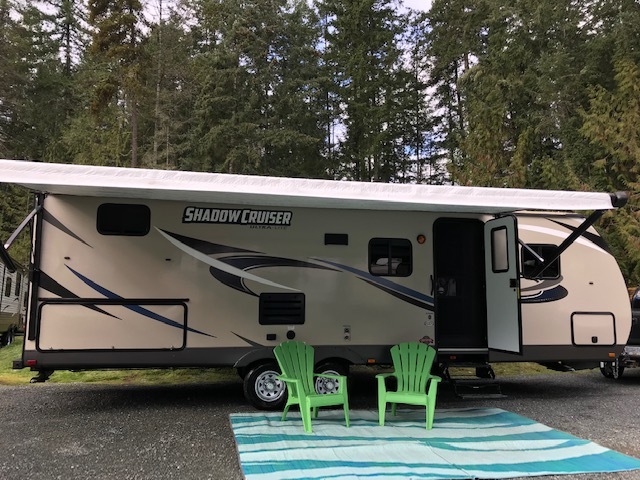 28' Shadow Cruiser - K-Jack RV Rentals- Parksville, Qualicum Beach, Vancouver Island B.C. 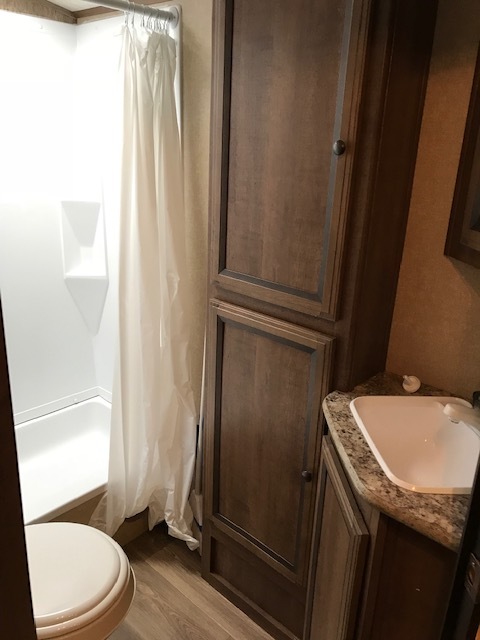 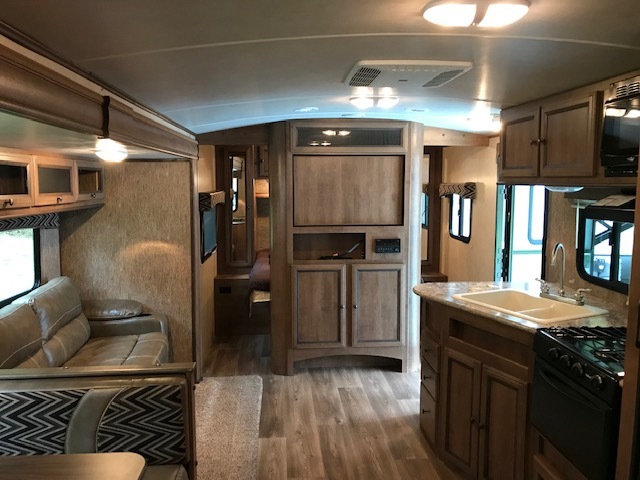 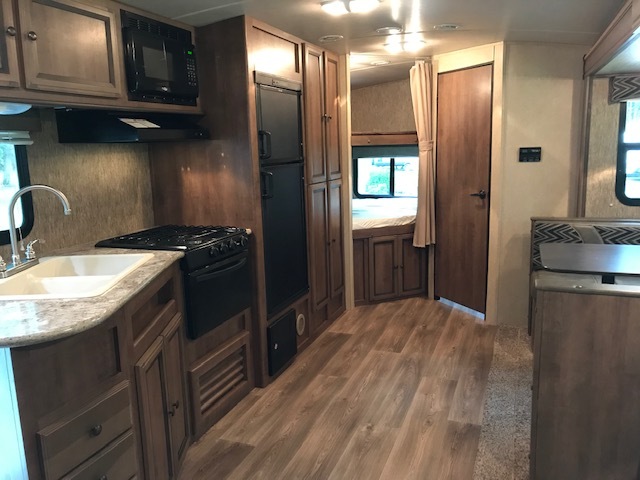 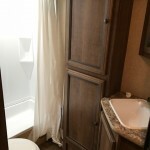 Our 28' Shadow Cruiser BHS is a classy, clean, well maintained travel trailer.This unit features rich wood tones, exterior kitchen and loads of storage. 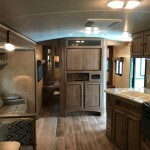 The large slide provides a generous sized living area. 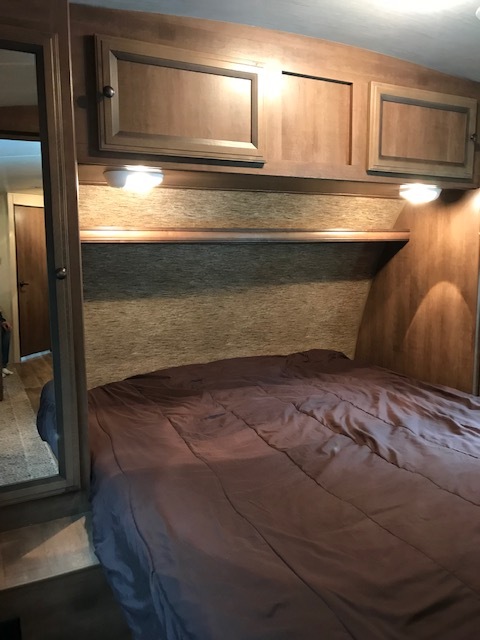 There is a separate bedroom with a walk around queen bed. 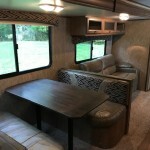 The couch and dinette convert into sleeping areas and there are double over double bunks. 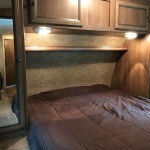 This trailer provides total comfort and is a pleasure for camping. 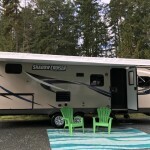 OUR RATES: Day $125. 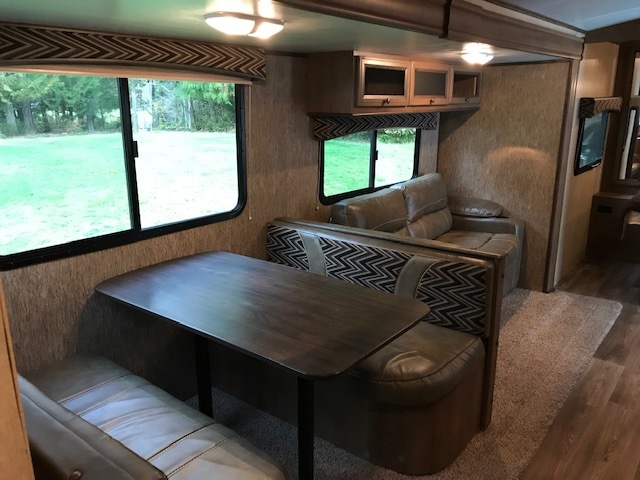 Weekly $710. 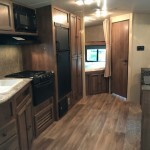 Sleeps 6-8 full bathroom, fully stocked kitchen, fridge, 3 burner stove, oven, microwave, double sink, air conditioning, outdoor mat, electric awning.